SRT is partnering with the Rotary Club of Visalia and local schools for a day of tree planting at Dry Creek Preserve on Saturday, Jan. 21. All are welcome! 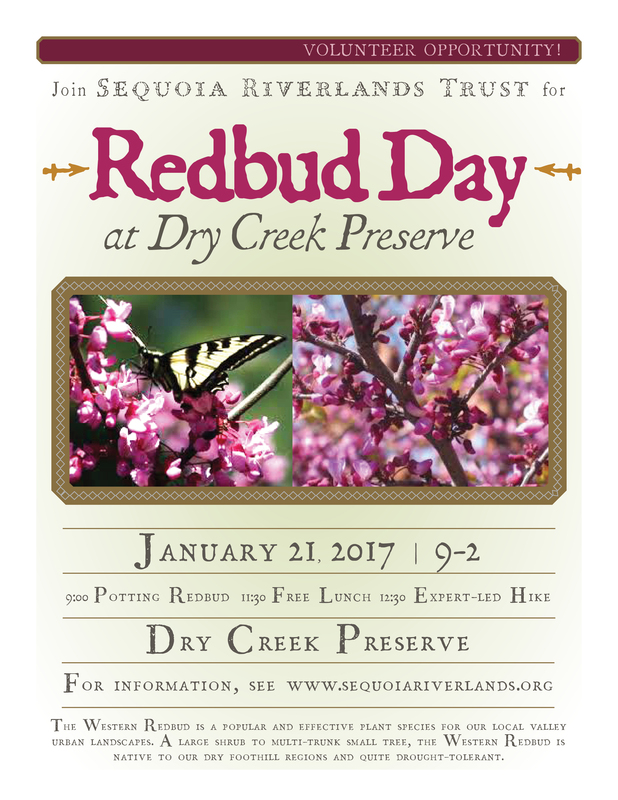 As you may know, Dry Creek was formerly a gravel mine, restored to its former glory through years of effort by SRT staff and volunteers. But more plantings need to take place, to continue the work and make the site even better. Thanks to a generous donation, SRT has received several hundred small Western redbud trees and Western redbud seedlings to use in our restoration efforts. We'll start planting them Saturday - yes winter is a great time to plant, ensuring plantings get lots of water. These small ones won't be hard to dig holes for either, so don't worry about breaking your back trying to dig. The Western redubud is one of the most popular and effective native plant species for our valley urban landscaping needs, native to our dry foothill regions and quite drought tolerant. Showy pea-shaped magenta/pink flowers appear along the branches in early spring before the leaves appear making this a beautiful and easy to care for landscape specimen. 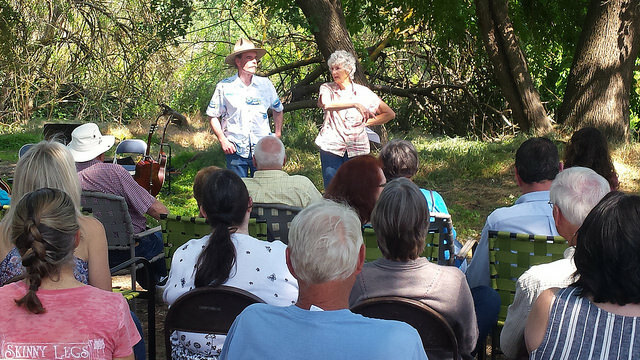 SRT staff and volunteers will be at Dry Creek from 9 until about noon on Saturday, so come out any time. When we're done planting, we'll have a BBQ lunch for you, followed by a walk and talk around the preserve. We'd love to see you, come on out - rain or shine!